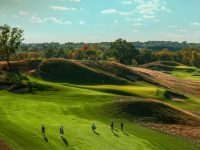 This week, we head to Wisconsin for the 2017 US Open at Erin Hills, marking the 2nd major of the year. 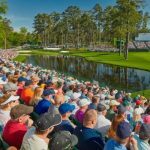 All the biggest names will be in action including Dustin Johnson, Rory McIlroy, Jason Day and Jordan Spieth. 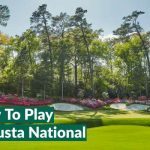 Last year’s US Open champion Dustin Johnson is the number 1 favourite, not just for winning last year but for his incredible form he has displayed in the 2017 season winning three tournaments in a row. 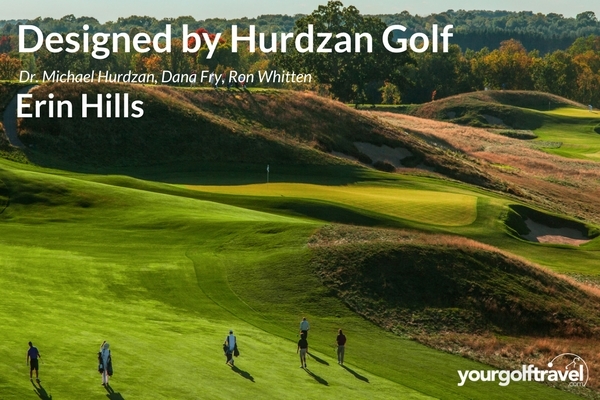 In this blog, we take a look at the host venue, Erin Hills, which will be hosting the US Open for the first time, the stellar field and we will also give you our very own YGT staff picks on who we think will come out on top this week at Erin Hills. 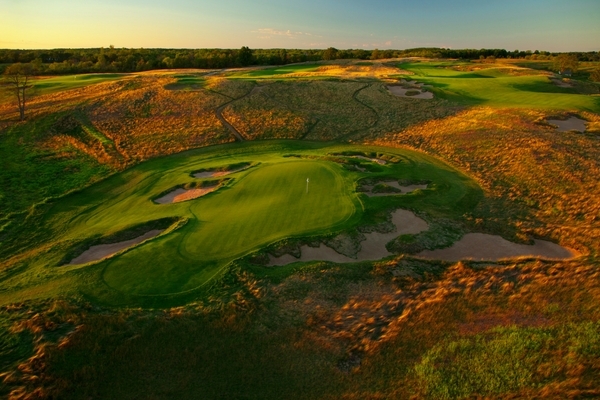 Erin Hills is hosting The US Open for the first time and is quickly becoming extremely popular amongst the golfing world.The course only opened in 2006 but is now a favourite for American golf holiday makers. 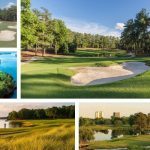 The course is not shy of tournament golf having previously hosted the 2011 USGA Men’s Amateur Championship and the 2008 USGA Women’s Amateur Public Links Championship. 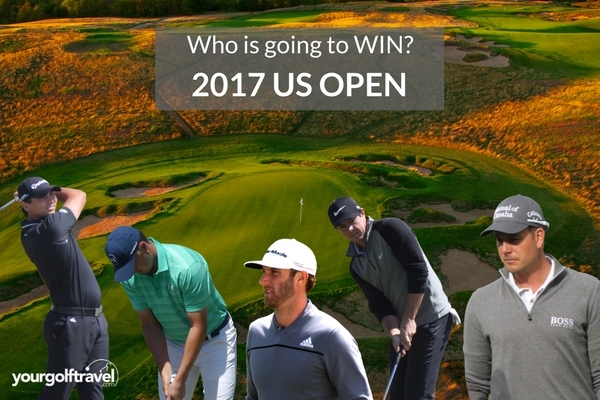 1) Who is going to win the 2017 US Open? Where is Sergio? He’s gone fairly quiet after his Masters win… I think his confidence is sky high and the last few weeks will have been completely focused on performing once again at a Major tournament. Well normally you’d look at the form and few can compare with Dustin Johnson when it comes to wins and world ranking. However, looking a bit deeper and you’ll see the chances of success are pretty slim. If Johnson was to repeat the feat he achieved at Oakmont, he’ll be the first since Curtis Strange who did so last in 1989.Since returning from his injury at The Masters, he’s managed a run of T2, T12, T13 and he missed the cut at The Memorial. This isn’t the look of a man who started the season with such an incredible run of form that his name was almost etched on the trophy as he stepped onto the 1st tee. 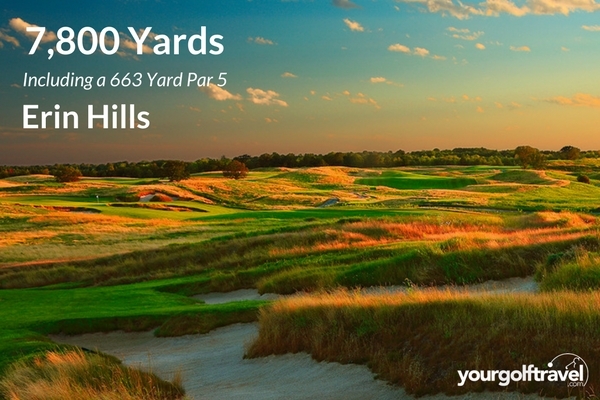 There has been a lot made of the rough at Erin Hills, with Kevin Na in particular showing his disdain for what happens when you miss the short stuff, there is a premium for finding fairways and with the course having a potential to reach 7,800 yards in total, ball striking is going to be key to tackling the rolling Wisconsin countryside that frames this layout which opened for play in 2006. So, ball striking and past Major form…that leads us to two golfers. Rose and Garcia. Garcia enjoyed his day in the sun at Augusta to claim his maiden Major in April but it is a bridge too far for him to claim back-to-back Majors but I do think he’ll go on to challenge in multiple Majors now he’s broken his duck. Rose, on the other hand, looks like a seasoned veteran and he been unlucky not to add Green Jackets to his collection which includes a rather dashing Gold Medal. Considered to be one of the finest tee-to-green men in the business, Rose will be able to combine his knack for finding fairways with grinding out pars that were so key to his win at Merion in 2013. Erin Hills is going to favour a player with a high ball flight and an ability to avoid the rough, so while firm favourite Dustin Johnson might seem like the perfect pick as he leads the tour in shots gained from tee-to-green, Jon Rahm is also 2nd on these stats and has showed incredible form this season with 7 Top 10s. He’s also a player who always has a positive mind-set so I think that when he does get in trouble, he’ll be able to avoid as many drop shots as possible which could prove to be the difference this week. I believe this US Open is going to be extremely close with all the big names in action. For me, I am sticking with Mr Rory McIlroy, he has been fairly quiet in recent months and after not managing to win the Grand Slam at Augusta, he will be keen to remain in the winners circle. He certainly has the game to WIN, so don’t be surprised if you see Rory at top of the leaderboard come Sunday evening. 2) Who is your outside bet? Louis Oosthuizen is playing very consistently at the moment. Past Open winner with a pedigree for contesting at the Majors. Is 80/1 an outside bet? 2-time Major Champion Martin Kaymer has a pretty decent US Open record with a win at Pinehurst in 2014 and has only missed the cut twice in 9 attempts. On his day Kaymer is almost untouchable and with a bit of confidence running through his hands it won’t be difficult for him to challenge this week. Let’s also not forget, he likes a win in Wisconsin…he claimed the 2010 USPGA at Whistling Straits. Although, not a complete outsider, Thomas Pieters would certainly be my outside pick at 40/1 as he’s shown he is a big tournament player with a T4 at The Masters, T5 at the WGC Mexico, T14 finish in the WGC HSBC and most recently a T14th finish at Wentworth. His name is certainly going to be up near the top of the leaderboard again this week. My outside bet is going to be Ernie Els at 400 / 1. Ernie has plenty of experiences having won countless PGA and European Tour tournaments including two US Open’s in 1994 and 1997. He is still competing around the world and I have a feeling he may be in contention come Sunday evening. 3) Out of the world’s top 10 golfers, who is going to finish worst? John Rahm. Although he claimed the leading amateur title last year I think this is going to be a hugely demanding place to play and he looks like the one most likely to struggle. He’ll probably go on and win now! Alex Noren. Noren has played some great golf in recent weeks to get into the Top 10 in the world including winning at Wentworth, however, he’s yet to be a prolific player in America with only a handful of Top 10 finishes in the States so I would expect Noren to finish the furthest down the field out of the best in the world this week. Jordan Spieth. Jordan has had a fairly quiet 2017, for his standards anyway and I just have a feeling that he will struggle around this golf course. I think the likes of DJ and McIlroy will be in the spotlight as the tournament heats up.